From the "Let's look too deeply into this" file, the Bravely Default twitter account released a very cute image yesterday wishing all of their fans a "Happy Merry Christmas". 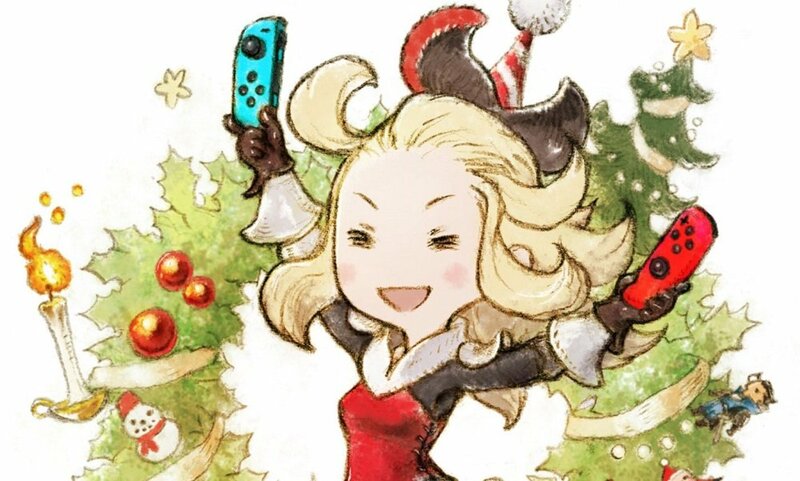 But it also set tongues wagging, as the accompanying image features Bravely Default character Edea in cutesy Xmas gear, but also waving around a pair of Joy-Con, with a Switch console clearly visible in the stocking hung up behind her. This has led fans to wondering whether the team -- who are currently hard at work on Project Octopath Traveller -- may have some Switch-related Bravely Default news to share with us in the near-future. That, or maybe Edea just got given a Switch for the Holidays.